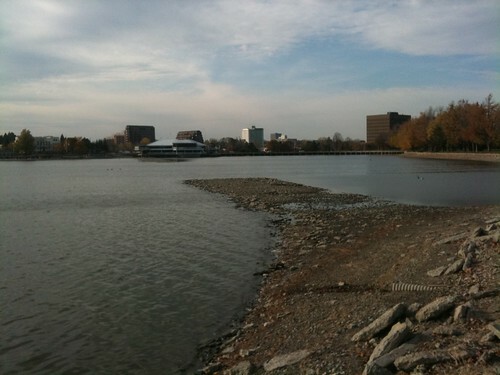 As the water is drained out of the Rideau canal the remains of the Dow’s Lake Causeway becomes visible. Ottawa Improvement Commission (Ottawa, 1912). A quick picture taken today.